Nestled in the Hampshire village of Shedfield, this award-winning (Southern Hampshire CAMRA ‘Pub of the Year’ 2011) and highly popular pub serves six locally-brewed beers directly from the casks behind the bar, and two Thatchers real ciders are also available. The home-cooked food is served at lunchtimes and on Tuesday & Wednesday evenings. Saturday evening visitors often find live blues, jazz or folk music being played. 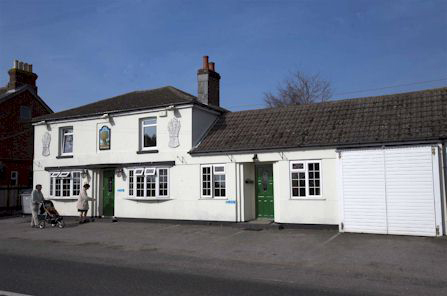 The pub holds an annual beer festival over the late spring bank holiday weekend (Whitsun). The Wheatsheaf Inn lies on the Stagecoach bus (Number 69) route between Winchester and Fareham. To download a timetable in PDF format, please click here.